“The White Doe” was written by Marie-Catherine d’Aulnoy. Andrew Lang included it in The Orange Fairy Book, 1906. Marie-Catherine was born in Barneville-la-Bertran, a member of the noble family of Le Jumel de Barneville. In 1666, she was given at the age of sixteen in an arranged marriage to a Parisian thirty years older—François de la Motte, Baron d’Aulnoy. The baron was a freethinker and a known gambler. Over the next three years, the couple had three children. In 1669, the Baron d’Aulnoy was accused of treason but the accusations, in which Madame d’Aulnoy appeared to be involved, proved to be false, but two men implicated in the accusation were executed. Marie-Catherine’s mother fled the country as she was also allegedly involved, however it is not known if the Comtesse d’Aulnoy herself had anything to do with the charges. She had three more children and discontinued involvement in the Paris social scene for twenty years. She later said that during this period she had traveled to Spain with her mother, who remained in Madrid, and to England. Much of this time was also spent writing stories inspired by these destinations. Madame d’Aulnoy was a permanent resident of Paris again by 1690, where her salon became frequented by leading aristocrats and princes, including her close friend, Saint-Evremond. Over the next thirteen years she published twelve books including three pseudo-memoirs, two fairy tale collections and three “historical” novels. “The White Doe” starts in typical fairy tale fashion, with a couple who longs for a child. In this case, the couple is a king and queen who loved each other dearly. One day, the queen was sitting by a waterfall, feeling sad, when a crab approached her. The crab took the queen to a fairy palace, where the crab was revealed as the fairy of the spring, and took the form of a little old lady. The fairies promised her that she would soon have a daughter. When the princess was born, they named her Desirée. The queen invited all the fairies to the christening, but forgot the crab, who arrived, angry. The other fairies placated her, but the crab, not laying her full intended curse, nevertheless said that Desirée would be the worse for it if any sunlight touched her in her first fifteen years. At the advice of the other fairies, the king and queen built a subterranean castle for the princess to live in. When her fifteenth birthday approached, the queen had her portrait made and sent it to all the neighboring princes. One fell so in love with her that he often shut himself up with the portrait and talked to it. When the king, his father, learned this, the prince persuaded him to break a betrothal with the Black Princess and send an ambassador to Desirée. The fairy Tulip, who loved Desirée best, warned not to let the ambassador see her before the birthday. At his suit, however, they agreed to bring the portrait of the young man to the princess, who was much taken by it, and to hold the wedding in three months, after her birthday. The prince was so love-sick that the king sent messages to implore them to put forward the wedding. Meanwhile the Black Princess was deeply offended. Though she declared that he had his freedom, because she could not love a dishonorable man, she implored the aid of her fairy godmother, the fairy of the spring, who was reminded of the injury and resolved to harm Desirée. Hearing that the prince was dying for love of her, Desirée proposed that she travel by closed carriage, and open it for food only at night. When this was put into effect, the mother of a jealous lady-in-waiting, persuaded by her daughter, cut open the coach and let light on the princess. 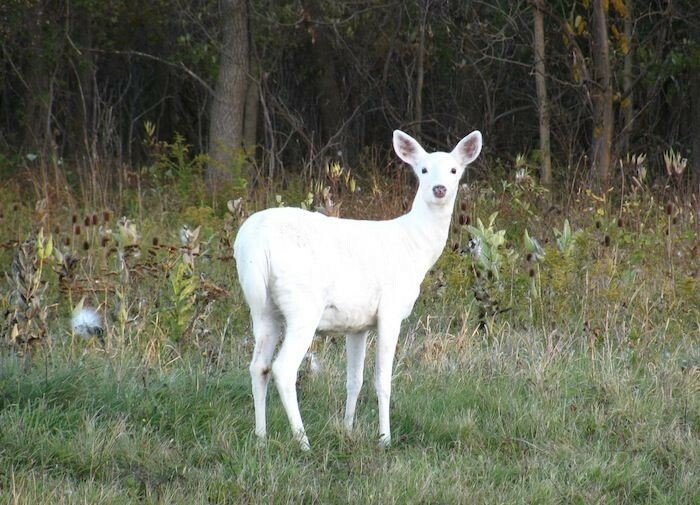 She instantly turned to a white doe and bounded off. The fairy of the spring created a thunderstorm that frightened off the servants, a faithful lady-in-waiting chased the doe, and the jealous one disguised herself as the princess and went on. She blamed the thunderstorm for her condition, but her ugliness astounded the prince. He left the palace rather than endure such a marriage, and went to the forest with only the ambassador. 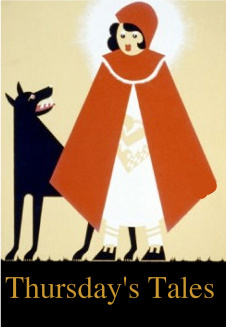 The fairy Tulip led the faithful lady-in-waiting to the doe and after witnessing their reunion, appeared. She could only turn the princess back to a woman by night and direct them to a hut where they might stay. An old woman took them in there; somewhat later, the ambassador found it, and the old woman gave him and the prince shelter. The next day, the prince saw the doe and shot at it, but the fairy Tulip protected her. The day after, the doe avoided where he had shot, and the prince hunted long for her, until he, exhausted, slept. The doe came upon him and, seeing she had the advantage of him, studied him. She woke him, and he chased her until she was exhausted and let him catch her. He treated her as a fond pet, but she escaped before nightfall, for fear that her change would shock him. The next day, the prince wounded her and was much distressed, but took her back by force to the hut. The lady-in-waiting objected and the prince had to give the doe up. The ambassador told him that he had seen the lady-in-waiting at Desirée’s court, and they made a hole in the partition between the rooms. They saw the princess and heard her laments. The prince and princess were joyously united. At dawn, she did not become a doe again. It doesn’t really say what broke the spell. I’m sure we can guess. An army of the prince’s father came, and the prince went out to explain what he had learned. The prince married the princess, and the ambassador married the lady-in-waiting. So it was a happy ending. I will say that the thing that struck me, aside from the opening similarity to Sleeping Beauty, was that the prince was engaged to the Black Princess. That is not a promising name. She couldn’t have been a nice girl. I’m sure I read The Orange Fairy Book when I was a kid, but I don’t remember this story at all!